Watercolor on 140 lb. Arches paper. 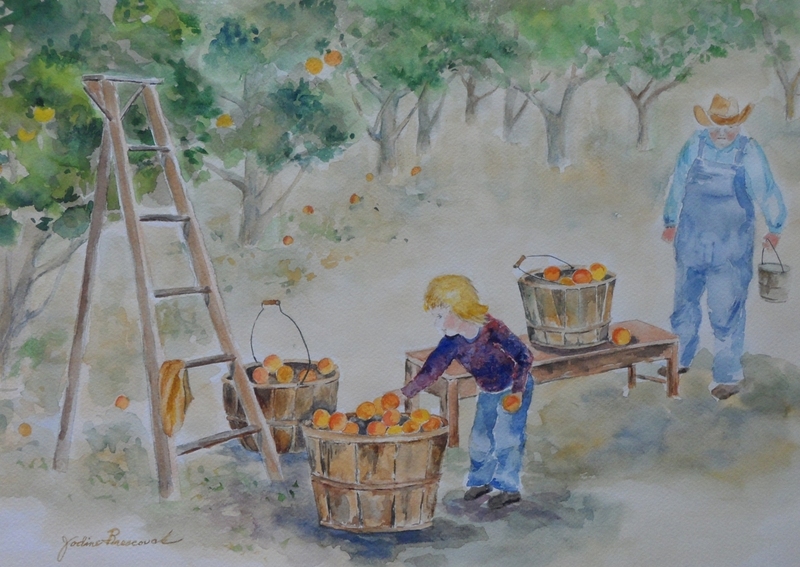 Girl eying peaches in basket with Grandpa close behind. Original is framed. Priced to include frame. Cocntact artist for image of framed piece. 11" x 15.5"13" x 18.25"15.5" x 22"